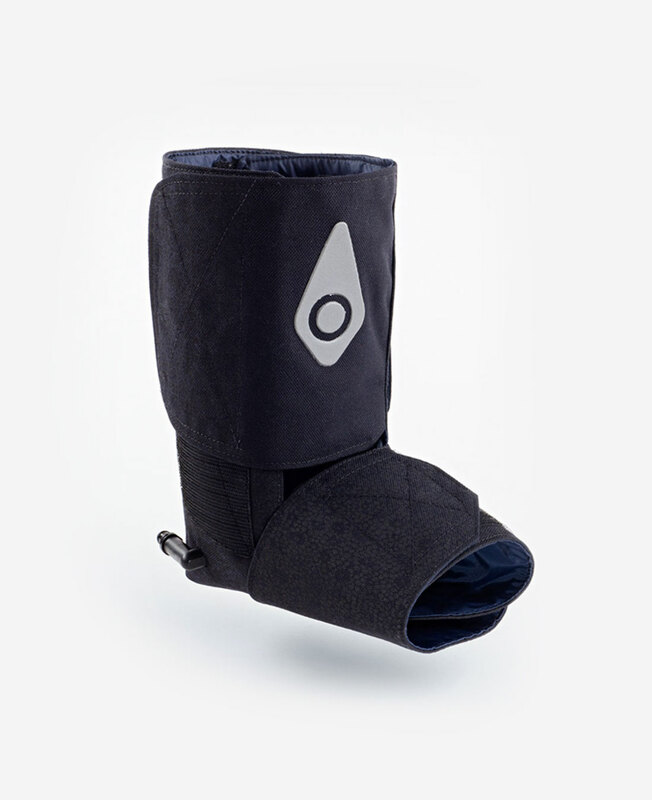 Choose from four pre-programmed settings to enjoy comfortable and effective compression therapy. 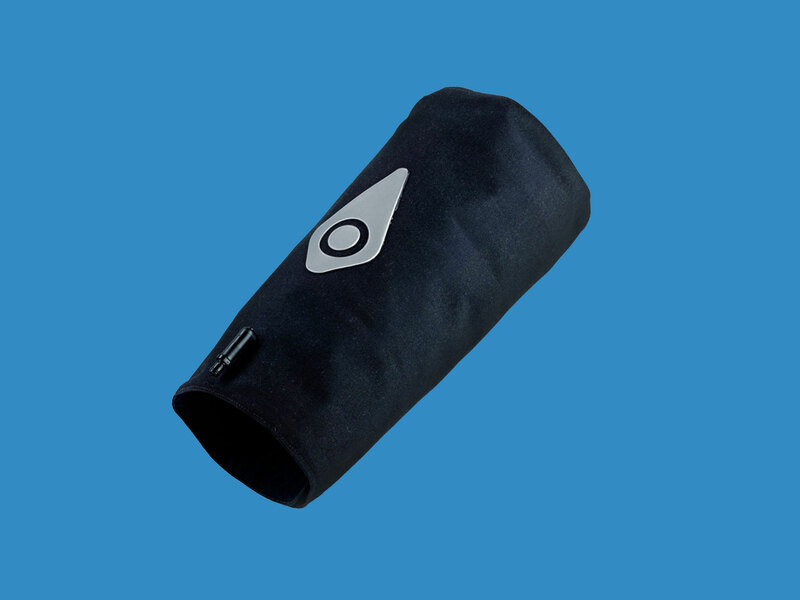 Simply press pause, adjust the compression level and resume your treatment. One Pump. All of the Wraps. 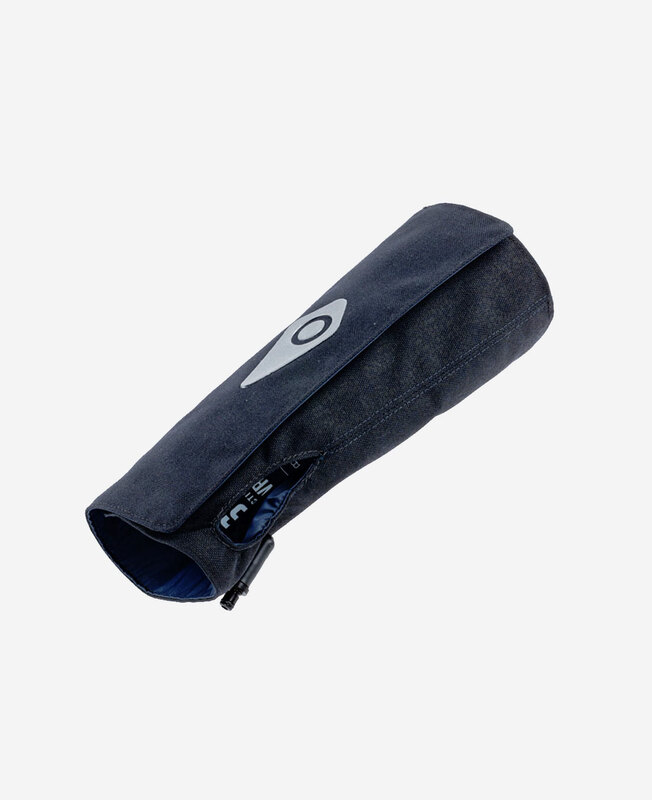 Our powerful, portable pump works with any of these wraps and gel packs. Enjoy relief, wherever you need it. 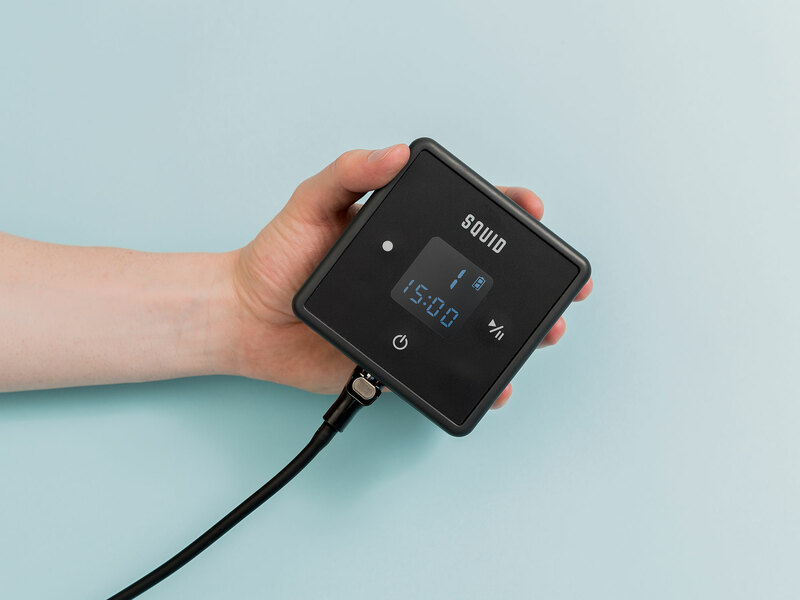 Squid Go’s lightweight (less than 1lb) rechargeable pump is also incredibly quiet, allowing you to enjoy treatment and pain relief almost anywhere. 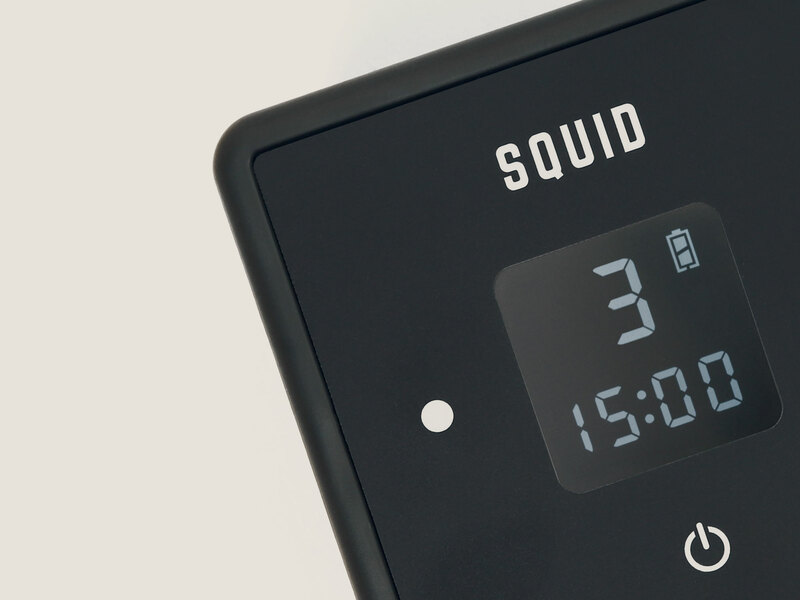 Enjoy up to 15 treatments from a single charge of Squid Go’s rechargeable pump. 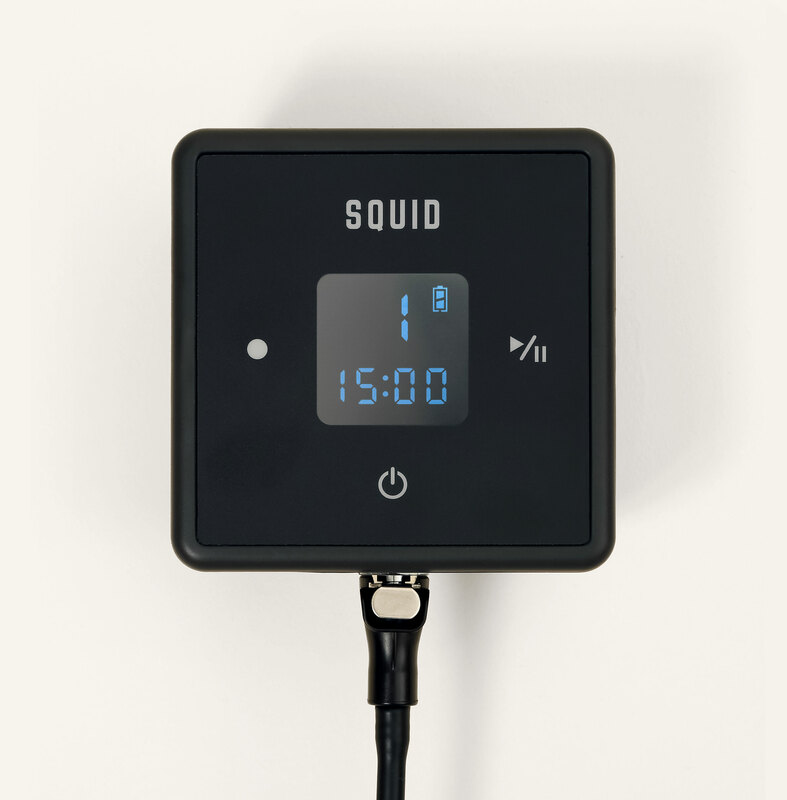 All Squid Go wraps are designed to work with Squid Go’s portable pump, allowing you to add to your compression therapy system as needed. 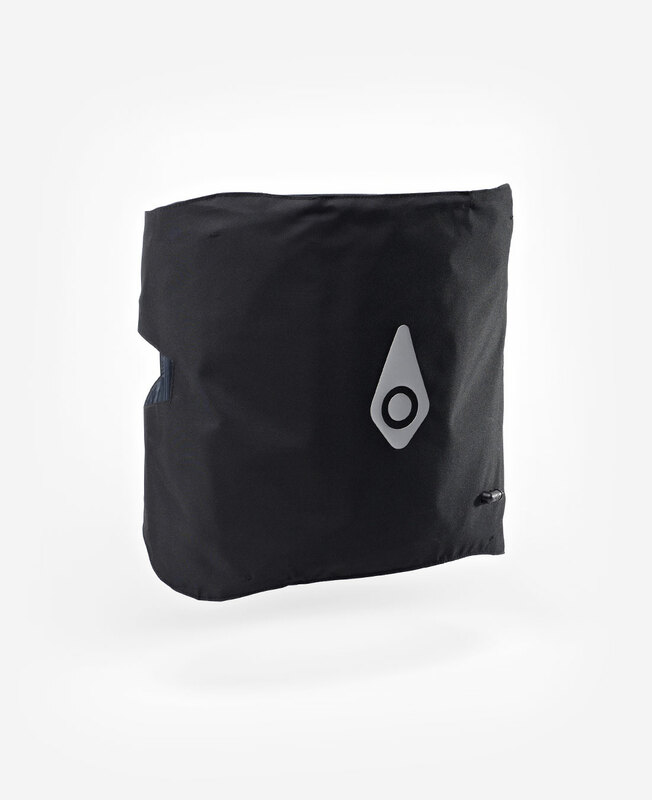 Our proprietary soft gel packs give you maximum cold and comfort without the mess of ice water. 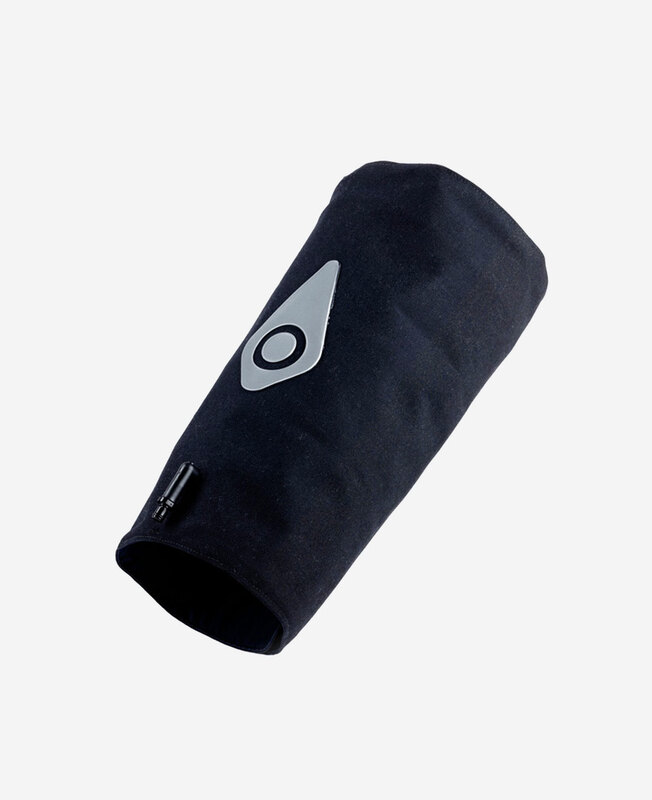 Receive effective treatment regardless of the compression level you choose. Our targeted body wraps and gel packs mean you can get pain relief exactly where you need it most. 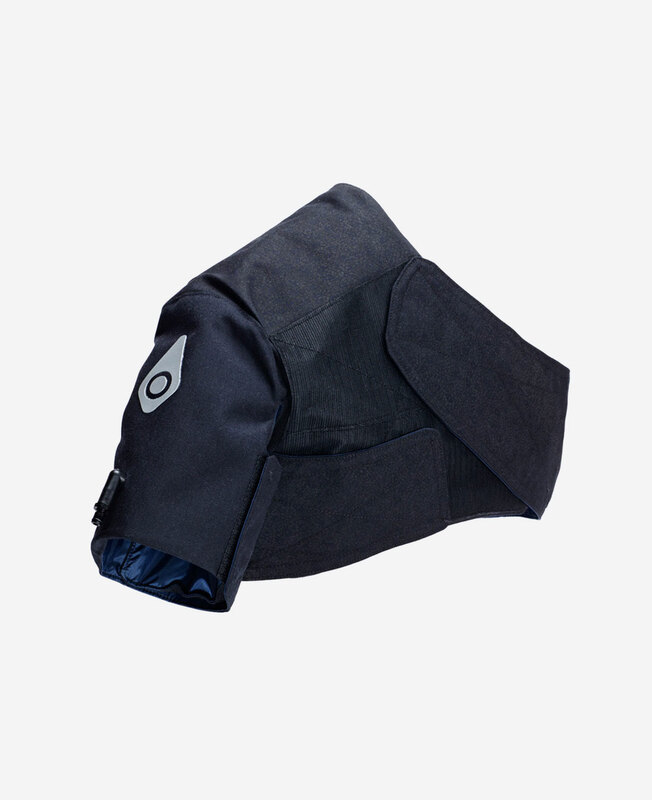 Squid Go’s proprietary technology blends intermittent sequential compression with cold gel packs to drive cold deep into muscles and joints for targeted pain relief every time. 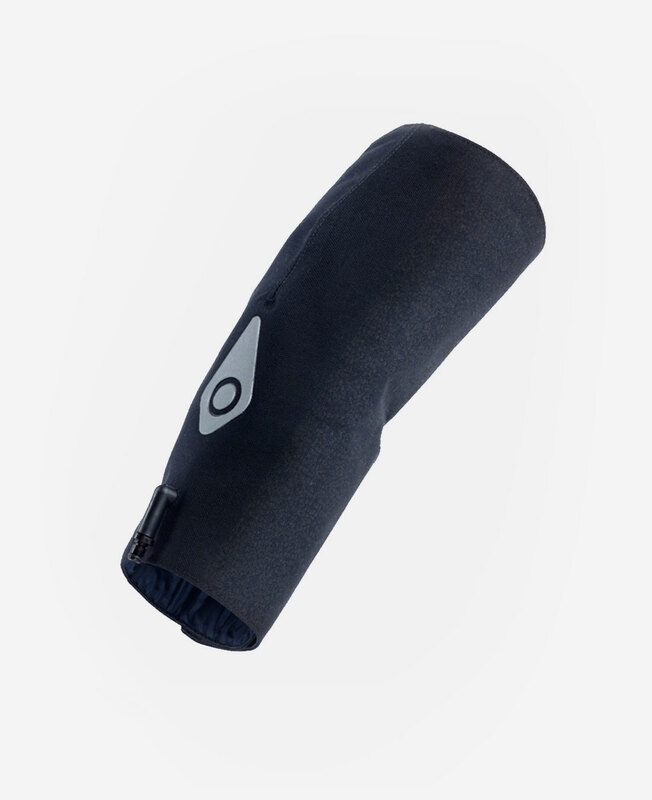 Pain relief is just a few clicks away.